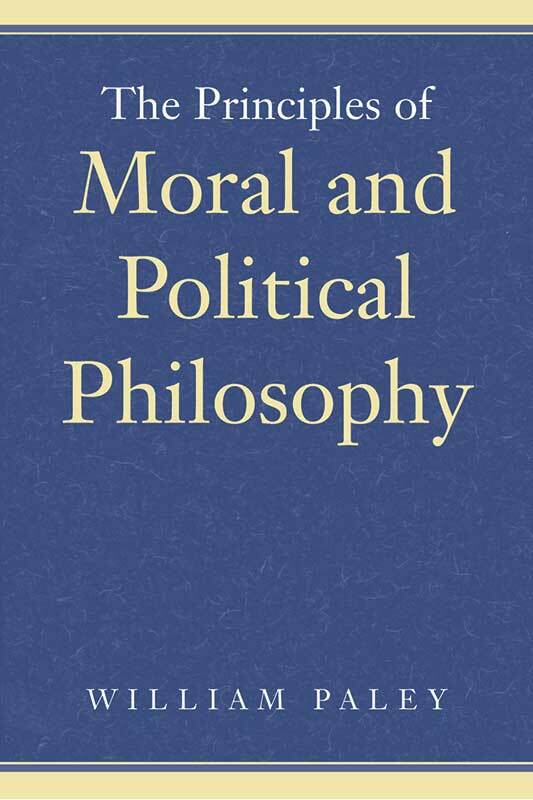 First published in 1785, Paley’s Principles of Moral and Political Philosophy was originally based on his Cambridge lectures of 1766–1776. It was designed for instructional purposes and was almost immediately adopted as a required text for all undergraduates at Cambridge. The great popularity of Paley’s Principlesis perhaps due in part to the author’s remarkable gift for clear exposition. Even today, this work is very readable and easily comprehended. But the popularity of the book also reflected the fact that Paley expressed some of the leading scientific, theological, and ethical ideas of his time and place. In this respect, Paley’s great classic provides valuable insight into the Anglo-American mind of the early nineteenth century and helps us better understand the thinking processes and evolving concepts of liberty and virtue that were displacing the old “whiggism” of the preceding century. D. L. Le Mahieu is Hotchkiss Presidential Professor at Lake Forest College in Illinois. He is also the author of The Mind of William Paley: A Philosopher and His Age (1976) and A Culture for Democracy (1988). Foreword, select bibliography, preface, index.